1. The federal gift tax is assessed on the person who gives the gift, not the person who receives the gift. An individual who gives a gift of cash or assets with a fair market value greater than $15,000 to any one person in a given year will have to report the gift(s) using IRS Form 709 when filing taxes for that year. These forms cannot be filed jointly, so if a married couple gives a gift that is worth more than $30,000 to any one person, both of them must file IRS Form 709 and report half of the value of the gift. Form 709 requires a few pieces of information about the gift and who receives the gift. It asks for things like a description of the gift, the recipient’s name and address, when it was given, and its value. While documentation or receipts do not have to be submitted with Form 709, filers should keep records for themselves about the gift in case the IRS has questions. The gift tax rates for 2018 range from 18 to 40 percent. The rates depend upon how much in excess of the $15,000 exclusion the gift is valued. For instance, a gift valued at $20,000 would have no taxes on the first $15,000, but the $5,000 over the $15,000 threshold would be subject to an 18 percent tax. The 40 percent rate applies to gifts valued at $1,015,000, or $1,000,000 over the $15,000 exclusion. Fortunately for the recipient, the gift does not count as income to the recipient because the gift falls under the gift tax rules instead of the income tax rules. 2. Each individual may give up to $15,000 in gifts to any person per year free of federal gift taxes. Because this rule focuses on the individual giver, a married couple could give up to a combined $30,000 in gifts to any one person tax free. To illustrate, if Bob and Betty Buckeye have a daughter, Bernice, both Bob and Betty can give Bernice $15,000 worth of gifts in 2018, for a total of $30,000, without having to pay taxes on the gift. If Bernice is married to Brutus, then Bob and Betty could also give a combined $30,000 gift to Brutus; however, that money is Brutus’s. The gift to Brutus cannot be used to hide a gift to Bernice. Importantly, some gifts are excluded from the gift tax and do not count toward the $15,000 exclusion threshold. These include gifts to a spouse, gifts of tuition paid directly to the college or institution, gifts of medical expenses, gifts to certain exempt organizations like charities, and gifts to certain political organizations. However, things like forgiving a debt, contributing to a 529 education plan, making an interest-free or below market rate loan, transferring the benefits of an insurance policy, or giving up an annuity in exchange for the creation of a survivor annuity do count as gifts. When these gifts exceed the $15,000 exclusion threshold, they are taxable. The $15,000 threshold is new for 2018. In 2017, it was only $14,000. The IRS now revises the amount based upon inflation, but is expected only to do so periodically in $1,000 increments. 3. Under the new tax plan passed by Congress and signed by the President in 2017, the higher estate tax threshold has made gift giving less urgent as a tax planning strategy. Many individuals used the gift exemption as a way to provide for the next generation while also lessening the risk or burden of federal estate taxes. However, the 2017 tax reform doubled the value of an individual estate that is exempt from the estate tax to $11,180,000. A couple may take advantage of that individual exemption, and, with proper planning, shield $22.4 million in assets from the federal estate tax. Unless an estate is likely to reach the applicable threshold, gifts may not be as important of an estate planning tool solely to avoid estate tax consequences. Long-term planners may want to keep in mind that the new estate tax exemption is set to expire at the end of 2025. If the $11,180,000 exemption is not extended by the end of 2025, the law will revert back to what it was before the 2017 tax reform, thereby returning the estate tax exemption threshold to around $5.5 million. Disclaimer: While the estate tax changes may have made gifts less relevant as an estate planning tool for some, this certainly does not mean that gifts should be cancelled this year. 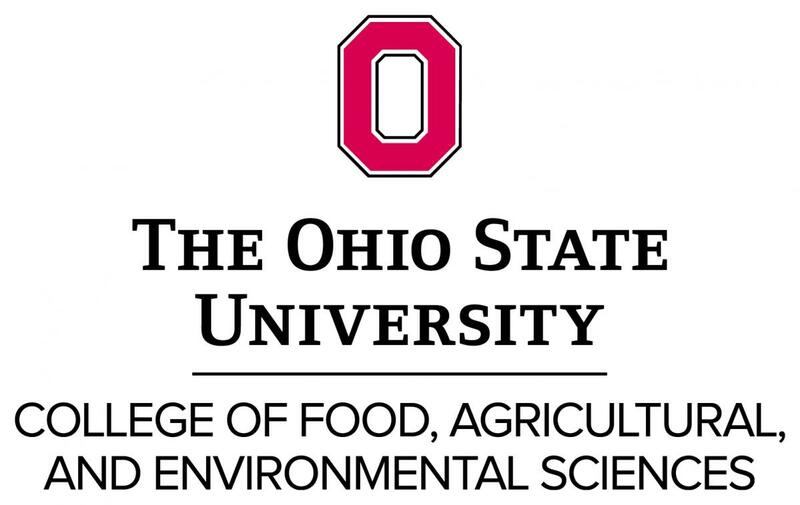 The OSU Extension Farm Office cannot take responsibility for that. It only means that more families can focus on giving for love, rather than taxes. For more information on federal gift taxes, contact an accountant or attorney, or visit the Internal Revenue Service’s “Frequently Asked Questions on Gift Taxes” here. For more general information about how taxes affect agriculture, visit the OSU Extension Farm Office Tax Law Library here. A landowner may present evidence regarding the value and acreage of his or her land, but the Board of Tax Appeals (BTA) is free to weigh that evidence as it wishes, according to the Ohio Supreme Court. All seven justices agreed that the BTA in the case of Johnson v. Clark County Board of Revision acted with appropriate discretion, although two justices did not sign onto the reasoning as to why the BTA acted appropriately. The case involved a property owner’s challenge of the Clark County Auditor’s determination of Current Agricultural Use Valuation (CAUV) for property tax purposes. Continue reading for more information about what CAUV is, how CAUV determinations and tax assessments can be appealed, what happened in the Johnson v. Clark County Board of Revision case, and the main takeaways from the Supreme Court’s decision. CAUV permits owners of land devoted exclusively to agricultural uses to request that the county auditor assess property for tax purposes based upon the value of the land’s current agricultural use, rather than its true market value. Since its inception, CAUV has generally provided landowners with qualifying property a lower tax bill than they otherwise would have using market value. Ohio most recently changed the formula for CAUV in 2017. If CAUV land is converted to a use that no longer qualifies for CAUV treatment, the land is again assessed based upon its fair market value and the landowner must pay to the county the difference between the CAUV value and the fair market value for the prior three years. To learn more about CAUV, visit the Ohio Department of Taxation’s CAUV webpage here. How can a CAUV determination be appealed? First, if a landowner believes that all or part of his or her parcel qualifies for CAUV, an application must be submitted to the county auditor where the land is located. County auditors are the “chief assessing officers of their respective counties” and have the authority, within the guidelines of the state tax commissioner, to make the initial CAUV determination under Ohio Revised Code § 5715.01(B). Landowners should contact their county auditors about filing instructions. Second, the procedure to appeal whether land qualifies for CAUV is different than the procedure to appeal a tax valuation assessment. If a landowner does not agree with their county auditor’s determination as to whether or not land qualifies for CAUV, they have thirty days to file an appeal with their county court of common pleas under Ohio Revised Code § 929.02(A)(2). Decisions of courts of common pleas can be appealed to the state district court of appeals, and those decisions can be appealed to the Ohio Supreme Court. If a landowner does not agree with their county auditor’s valuation assessment, the landowner may file a complaint with their county Board of Revision. The forms for these complaints are generally available at the county auditor’s office or website. If a Board of Revision believes that the county auditor made an error in applying the CAUV statute and rules, the board has the authority to revise tax assessments. If the landowner still does not agree with the Board of Revision’s decision, he or she may appeal to the Ohio Board of Tax Appeals within thirty days of the Board of Revision’s decision under Ohio Revised Code § 5717.01. More information is available on the BTA’s website here. Alternatively, under Ohio Revised Code § 5717.05, the landowner may appeal the Board of Revision’s decision to the appropriate county court of common pleas. Decisions of the BTA can be appealed to the respective state district court of appeals where the land in question is located, and those decisions can be appealed to the Ohio Supreme Court. However, there are certain cases in which landowners can appeal decisions of the BTA directly to the Ohio Supreme Court under Ohio Revised Code § 5717.04. However, the types of appeals of a BTA decision eligible for direct appeal to the Ohio Supreme Court were reduced in September 2017 through House Bill 49. What happened in Johnson v. Clark County Board of Revision? Mr. Johnson challenged the Clark County Auditor’s 2013 tax assessment of his 154.61 acre farm. Neither party disagreed that the land qualified for CAUV, but Mr. Johnson disagreed with how much the Clark County Auditor said the farm was worth under the CAUV formula. For tax year 2013, the auditor assessed the property’s CAUV at $457,250. Mr. Johnson appealed to the Clark County Board of Revision. He testified, and also elicited testimony from an employee of the Clark County Soil and Water Conservation District and an employee of the Clark County Auditor’s office. Further, Mr. Johnson presented photographs, official records from the tax commissioner and auditor, and a “self-prepared written statement purporting to convey [the SWCD employee’s] site-visit findings.” The Board of Revision rejected Mr. Johnson’s claims. Mr. Johnson then appealed to the Ohio Board of Tax Appeals. Again, Mr. Johnson testified and produced a number of exhibits. At this appeal, he elicited testimony from an employee of the Ohio Department of Taxation. The BTA also rejected Mr. Johnson’s claims, finding that the Clark County Auditor had acted appropriately. Mr. Johnson then filed an appeal to the Ohio Supreme Court in 2016. Mr. Johnson represented himself pro se, or without an attorney. What are the main takeaways, and why did the landowner not succeed? First, the Ohio Supreme Court explained that a landowner challenging a Board of Revision or Auditor’s tax assessment must convince the BTA that his or her valuation assessment is correct and the one they are challenging is incorrect. This requirement to convince the Board of Tax Appeals is known as the burden of proof. The burden of proof determines which party must play an active role in proving his or her argument, while the opposing side will only have to present proof to counter if the board finds that the first party has carried its burden. Here, the court said that Mr. Johnson, as the landowner challenging the assessment, had the burden to convince the BTA. The court disagreed with Mr. Johnson’s argument that the county should have to rebut his evidence and prove the value that it assessed. Second, even though the BTA properly said that Mr. Johnson had the burden of proof, this does not mean that the BTA should have presumed the Board of Revision’s decision to have been correct. Instead, the BTA must independently analyze the evidence presented to it, and not simply defer to and accept the Board of Revision’s decision. Here, the Ohio Supreme Court found that the BTA did conduct an independent assessment in confirming the Board of Revision’s determination. Third, while an owner may present evidence as to the value of his or her land, a BTA has discretion to determine how much weight to give to that evidence. An owner’s opinion as to the value of his or her land is not determinative, but is merely a piece of evidence that the BTA may consider. Fourth, instead of looking at the acreage, the focus of the assessment should be on boundaries and a property’s uses within those boundaries. The Ohio Supreme Court explained the distinction between calculating acres and delineating boundaries by using dictionary definitions, and the distinction is essentially that a bounded area is fixed in space, while acreage alone describes an area without a specific line of demarcation. To prove that a parcel or portion of a parcel qualify for CAUV treatment, the boundaries of the qualifying land must be determined. Acres can only be determined after the boundaries are established. Here, Mr. Johnson did not prove the boundaries of CAUV areas on his land to the BTA’s satisfaction, and the Ohio Supreme Court said that it was within the BTA’s discretion to reject Mr. Johnson’s evidence. The Ohio Supreme Court’s full opinion, cited as 2018-Ohio-4390, is available here. Additional facts about the case can be found within the court’s opinion.